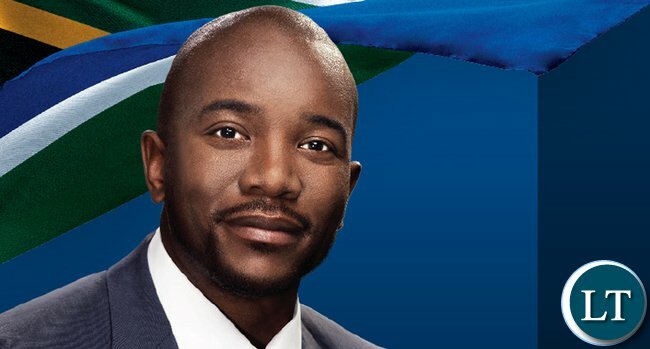 The recent deportation of one of South Africa’s political opposition leaders, Mmusi Maimane of the Democratic Alliance (DA) from Lusaka’s ‘Kenneth Kaunda International Airport’ made headlines in South Africa and Zambia, as well as on the African continent. Maimane and his delegation flew to Lusaka in order to show his political party’s allegiance with Zambia’s opposition leader, Hakainde Hichilema from the UPND, who currently serves his term in prison for serious treason charges. The aforementioned is similar to the blatant disrespect for the sovereignty of Zimbabwe, when the then Secretary General of the Congress of South African Trade Unions (COSATU), Zwelinzima Vavi, and his delegation traveled there to publicly side with their counterpart, ZCTU, and its MDC-T under Morgan Tsvangirai. Vavi and his Zimbabwean friends wanted to publicly denounce President Robert Mugabe and his ZANU-PF led government. Zwelinzima Vavi also traveled to Swaziland to join forces there with the local trade union movement and its call for King Mswati III to be dethroned. His Majesty had Vavi and his COSATU leadership promptly evicted. During colonial-apartheid and the “cold war”, South Africa waged war in southern Angola, Botswana, Lesotho, Mozambique, Namibia, Tanzania, Zambia, Zimbabwe and beyond. During the CODESA negotiations it came to light that colonial-apartheid South Africa was used as an executioner for the international West and its interests in the geo-strategic Cape Sea Route, its minerals and wealth. The guidance of the apartheid regime and later of a “new, democratic” South African Afropessimistic opposition took the form of an NGO- and Foundation industry, always well funded, well networked and very busy, undermining the state. The aforementioned show a clear history of aggression, arrogance and destabilisation in order to get ownership of the economies of and control over the SADC region. South Africa’s opposition DA leader, Maimane, “was turned away from Zambia, as his presence was going to undermine the sanctity, integrity and independence of the Judiciary. DA Maimane’s presence was going to undermine the integrity of Zambia’s judiciary”, a statement from Zambia’s High Commission in Pretoria explained. The statement also publicized that DA Maimane and his team had visited the Zambian High Commission after their return from Lusaka. He was obviously frustrated. Zambia’s First Secretary, Press and Public Relations, Madam Naomi Nyawali, stated, “We also took time to alert him to our concerns regarding his media statement that stated that he was going to pressure our Courts of Law to release Mr. Hichilema. We took time to discuss all matters and our entire meeting was fruitful.” It seemed all diplomatic. An NGO and Foundation industry with sizeable budgets and its hooligan armchair academia continuously work on a never-ending drive of interfering into matters of sovereign neighbours to retain control and influence. Think tanks such as the Brenthurst Foundation, Helen Suzman Foundation, Freedom Under Law, US-George Soros’s “Southern African Litigation Center” (SALC) and a host of others have a so-called intelligentsia on their boards. Those include Dr. Ann Bernstein; Professors Mathew Nel and Christo Nel at the University of Stellenbosch; Professor Mark Swilling from the Centre for Complex Systems in transition at the University of Stellenbosch; Prof. Ivor Chipkin at the Public Affairs Research Institute (PARI) at the University of the Witwatersrand; Dr. Mbongiseni Buthelezi from Public Affairs Research Institute at the University of the Witwatersrand; Prof. Haroon Bhorat from the Development Policy Research Unit at the University of Cape Town; Numkile Mondi from the Department of Economics at the University of the Witwatersrand. There are a few more. Their names grace many boards in and appear on many letterheads in South Africa. Here is the risk. This intelligentsia says all the right things for the wrong reasons, attempting to confuse leadership. They are not there to help South Africa, or Zambia. The only intention is not to assist achieving a better country, but to open the doors for looting by their masters. By executing the aforementioned, they actually neutralize leadership, leaving them like rabbits in front of the bright lights of an oncoming car. Leadership finds itself in a position, where they are damned when they defend themselves, and are damned, when they don’t. It has become quite clear that the matter of a regime change is imminent. At the heart of this problem is an inept group of people who will pay the ultimate price of being destroyed in one way, or another. It seems that Afropessimistic character assassination is first choice to get rid of a head-of-state and his inner circle. It is important that the indigenous Africans learn and understand history and the lies behind the economic and financial systems with humility where they admit, that they have deliberately been deceived and misinformed by a skewed economic education system. Therefore, they will never see an economic freedom. All of the above has nothing to do with “democracy”, an empty term, which is purely used to hide behind and plunder.